It’s an inescapable fact that game designers, on occasion, may be asked to do a little programming. 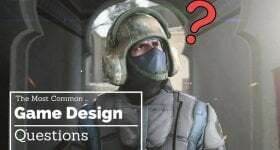 This comes down to entry level designers often switching their positions in teams a lot, and the nature of game design teams being very fluid. It is not unusual for designers to step in and program, freeing up the game programmers to work on something more complicated, just like it is not unusual for programmers to be consulted during the design process. That said, getting started in programming can be a little daunting. 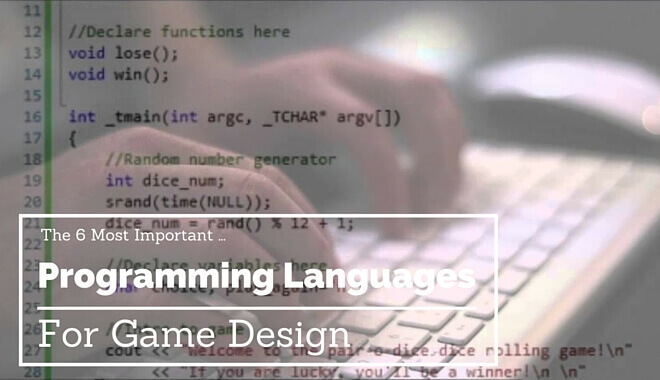 What is the best language for game development? There are literally thousands of programming languages out there (although it’s worth saying that only a very small subset are used frequently), so how does a fresh new game designer-come-developer know where to start? Well, that’s what this article is about! It’s no lie that there are only a small subset of commonly-used languages, and the languages used for games are an even smaller subset of that. There are two main types of programming you should focus on as well, something called ‘systems’ programming, and ‘web’ programming. Both are important, although what you end up doing will mostly be down to the focus of the studio and their in-development titles. Systems programming means programming for a stand-alone application, such as a video game run on your machine. The two most common languages for game designers to learn are C++ and Java, although other languages are popular (such as C# for Unity). Another type of programming you may hear referred to is scripting, but that essentially comes down to a type of systems programming. Web programming, is used, funnily enough, for applications that are run through a browser over a web interface. Web languages are not so much one-or-the-other, they work in unison to create the kind of experience players expect (although some programmers will specialize in just one or another). Along with things like content management systems (which are beyond the scope of this article). C++ is a language with a relatively high entry barrier (meaning it’s quite difficult to learn), but the reward is greater because it allows more direct control over the hardware and graphical processes (something very important in video game design). It is an object-oriented language, meaning it uses internal structures to better organize code into reusable blocks (classes and objects). It is by far the most commonly used language for writing game engines, and some engines (such as Unreal) only accept information written in C++. If you only choose one language to learn, this would be it, because most other object-oriented languages stem from C++ (so picking them up will be easier). Java runs on everything, from printers and microwaves to complex video game systems. It is a very dynamic language with lots of applications, making it seem like a good choice to learn. Java is closely related to C++, so learning the two alongside each other would not be difficult. HTML5 and CSS3 are the languages used in the web to give a page structure and visual display elements, respectively. SQL is used for back-end database work, so that the player can access their account and do other things on the server. If the studio you want to work for has a web-game focus, it’s worthwhile brushing up on all of these languages, but you probably will not require a very deep knowledge of them. Which language you choose to learn will depend a lot on where your interest in game design lies; web-based or PC-/console-based. PC- and console-based languages will include object-oriented languages, as well as simpler scripting languages, whereas web development will focus solely on technologies built for the web (although there is some crossover, again beyond the scope of this article). We hope this run-down of the top languages to learn has been informative. 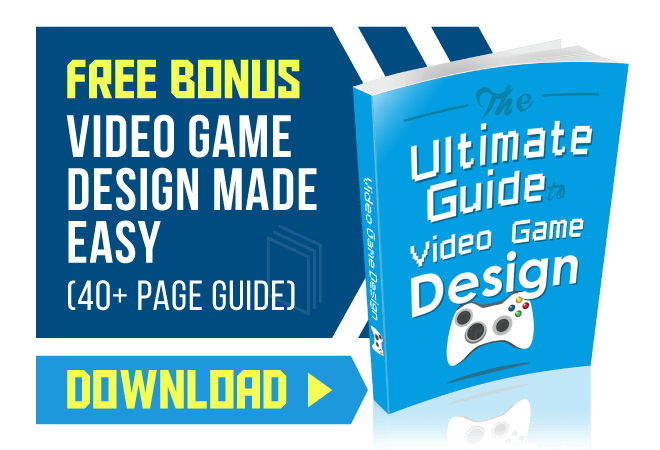 Check back for more on how to best prepare yourself for a career in game design!